This program is the crafting version of Battle Bots and Ninja Warriors. It is an academic version of our existing Garden Spirit Sculpture classes, fundraising and team outing events for entertainment. Now with engineering components added, we have a team-based educational program based on a historic crafting industry. Organizations (schools, businesses, clubs, etc) form teams to compete for recognition and prizes. A session could involve one organization with multiple teams, or teams from multiple organizations challenging each other. Teams will compete to win the challenge using crafting skills learned during the session, based on their aesthetic judgment and success in solving the engineering challenges inherent in the construction process. There are no limitations on who may compete. The item to be crafted is our product called a garden spirit sculpture made of stained glass materials and uses the same skills to create as would be used for a stained glass window. The challenge activity is divided into three 2 hour segments spaced several days apart. 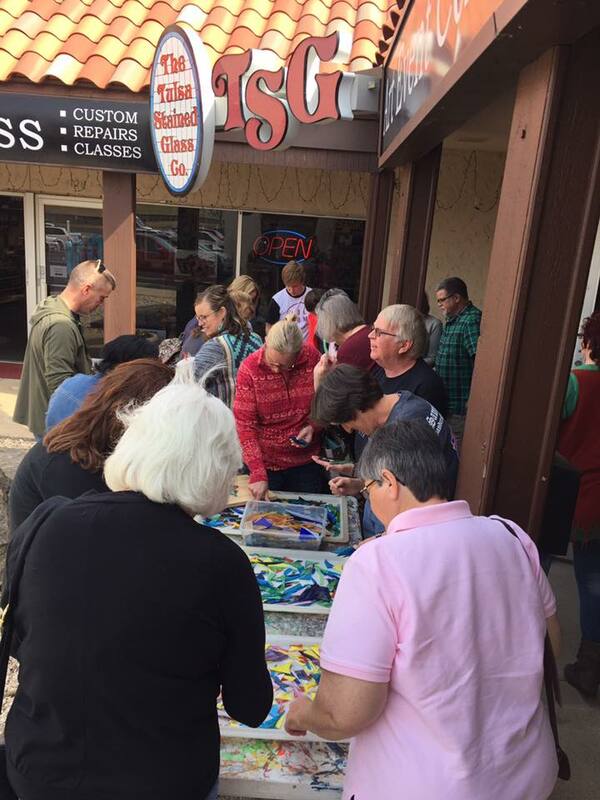 Participants will be learning about the craft of stained glass plus using skills of glass cutting, wrapping, assembly, soldering and finishing. The profile of the individuals making up the team will be determined by the organization. The team will decide the shapes, colors, size and quantities of glass to be used. Homework will be required. The garden spirits will be complete by the end of the second session, then be photographed and uploaded to our online contest format for popular voting. The third session will include judging and awards. The winning team will have a combination of the highest popular vote (aesthetic appeal), lowest physical weight, least wind resistance and best structural strength. Teams will need to make design and construction choices to find the best balance of technical characteristics, while considering overall aesthetics.